Want proof? The musical score for The Beatles, “All You Need is Love,” contains melodies from several songs, including the song, “In the Mood,” by Joe Garland and Andy Razaf. As to whether these songs were intentionally copied, or not…only the composer knows for sure. But, in my experience, as a musician and an attorney, most musicians aren’t even aware of the concept of musical plagiarism, a form of copyright infringement. How Can I Protect My Original Music? One way you as a musician can protect your original material from musical plagiarism is by the use of a copyright. Copyrights are federal laws that help ensure that no one, but you, can legally use your work without your permission. There are a couple of requirements that need to be satisfied in order to copyright your work. One, the work has to be original, and two, it has to be fixed in any tangible medium of expression, such as musical notation written onto a manuscript, or a song recorded onto a multi-track recorder. A live performance of a song, for example, is not a tangible medium of expression protected by copyright; at least not until it is recorded. Now, it’s important to note that there are two copyrights that exist in every music recording, the copyright in the composition, and the copyright in the recording. 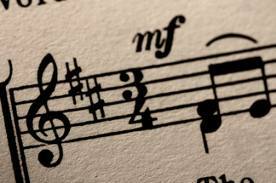 A composition is the musical notes, rhythms and lyrics of a song. A sound recording is the specific recording of a composition. It’s also important to note that copyrights have a limited duration. And as such, once the term of the copyright has expired, the song enters the public domain – that is to say it is owned by the public, by everyone, and by no one at all. Thus, anyone is free to cover or sample it without the original creator’s permission. Nonetheless, any new recording of a song in the public domain is copyrightable as a sound recording. For example, if you sit down at a piano and play, “Moonlight Sonata”, while recording your performance – that is your arrangement of that recording, and you own the rights in that unique recording. There have been a number of successful copyright infringement suits alleging so-called musical plagiarism. The earlier example of The Beatles’ “All You Need is Love,” that allegedly contained melodies from songs by Joe Garland and Andy Razaf? Well, their composition “In the Mood,” that The Beatles tune was based on, was in the public domain. The problem, however, was that the arrangement by Glenn Miller of this song was not in the public domain. As a result, The Beatles’ publishing company, EMI, was forced to make a royalty payment to KPM publishing in 1967. And, those allegations that George Harrison plagiarized the Chiffons’ “He’s So Fine,” for use in the melody of his song, “My Sweet Lord?” Well, George Harrison ended up in a rather prolonged and expensive lawsuit beginning in 1971 that he eventually lost. How Do I Register A Copyright of My Original Music? Placing a copyright symbol or notice on your music will not legally register the material. The only method for registering your copyright is through the U.S. Copyright Office. In the United States, you can apply for a registered copyright through the U.S. Copyright Office. The registration process takes up to eight months to complete, and the registration forms can be found online at the U.S. Copyright Office Forms page. For your protection, copyright materials should always be sent to the U.S. Copyright Office via certified mail return receipt. It’s important to remember that while your intellectual property is protected by copyright, even if you do not register it with the Office of Copyright, you can’t sue for copyright infringement without this registration. Thus, it is advisable to proceed with the registration process should you have any fear of your music being plagiarized. How Can I Prove that Someone Stole My Original Music? Suppose one day you hear a song on the radio that sounds A LOT like your original song! If you choose to file a copyright infringement claim against this artist, the first thing you need to do is to establish that your song was made accessible to the artist you think plagiarized your song. Now, no matter how similar the two songs may in fact be, there simply is not a cause of action for copyright infringement if the second song was created independently. In other words, you must prove that the alleged plagiarizer had an opportunity to hear your song first. Copyright infringement requires copying, and you can’t copy something you’ve never heard. Many copyright infringement cases fail on this basis alone. Why? Because frequently the aggrieved composer simply has not released their song on a widespread commercial basis – other than perhaps at a few gigs, or their local radio station on one occasion. Under those circumstances, it is very difficult to establish that there ever was a reasonable opportunity for the defendant to have heard the song, which is what the law requires. And, while it may have been theoretically possible for the defendant to have heard your song, mere possibility that the defendant may have heard your song, or speculation that the defendant may have heard your song, is simply not enough to prevail in a copyright infringement case. Nonetheless, if there was a reasonable opportunity for a potential defendant to have heard your song, such as both musicians being on the same tour, the case can go forward – even if the defendant insists they didn’t actually ever hear your song. With our joint-touring example, the defendant would clearly have had a reasonable opportunity to have heard your song, even if the defendant asserts they never watched your band’s opening act gig. In this instance, such a defense becomes a credibility question, and it will be left up to the jury to decide which side to believe. Frequently, the client alleging plagiarism will have sent demos of their song to various record labels. In those cases, in order to prevail in court, one has to establish a channel of communication between the person who received the demo, and the creative team that made the record which is the subject of the alleged copyright infringement violation. Simply mailing something to the mailroom of a major label is not enough to establish access as to every subsequent record the label releases. The courts refer to this as bare corporate receipt, and it never succeeds in establishing access. Copyright infringement cases often fail on this basis alone as well. If there is widespread dissemination of a song in the form of extensive airplay, access to the original song alleged to have been copied will be found to have been established as a matter of law. The George Harrison case over “He’s So Fine,” is a good example of this – there’s simply no way Harrison could have plausibly asserted that he had never heard the Chiffons’ record. And, this is ultimately why he lost that infamous copyright infringement case. The bottom line on these copyright infringement cases is that many songs in various popular musical genres sound very much alike. The reason for this is that most musicians are writing within commonly used musical conventions. Thus, certain melodies and chord progressions, which may strike you as being rather unique, are actually fairly common upon further inspection and analysis. And, thus it is unlikely that another song with those same characteristics will be found to be infringing upon the original tune in question. This is why, if you want to prevail in court, it’s not enough to have a song that is merely similar to your song. It has to be almost EXACTLY the same song, and for more than just a few notes, in order to prevail. And, once the court factors in the commonly used musical conventions, there rarely is an actionable claim for musical plagiarism or copyright infringement – no matter how much you think your song may sound like the latest Top 40 Hit Single.